Tax year 2018 at Mediavine gave us a few different payment methods. Read on to gather the right information for your circumstances. 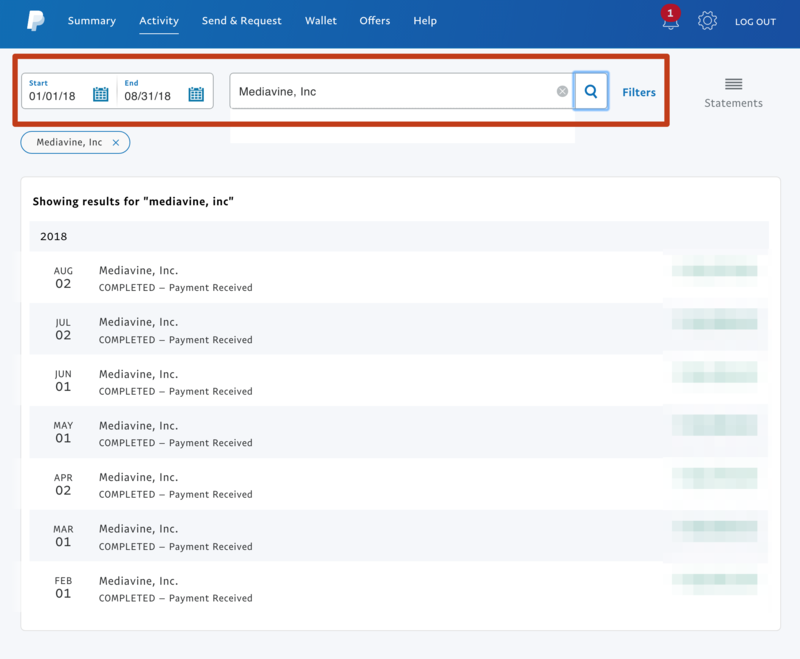 For February - August 2018, all Mediavine publishers were paid via PayPal's Mass Payment System. We did not issue a Mediavine ad revenue payment in January 2018 because there were 13 ad revenue payments in tax year 2017 (2 payments in December 2017). You can find more details about PayPal and the required tax documents here. Once there, you'll want to filter the activity. Change the dates to be for 1/1/2018 - 8/31/2018. Add an additional filter of "Mediavine, Inc" to the search. This will yield a list of all your Mediavine payments for the entire year. Print this page, and provide it to your accountant, or include it with your tax documents. Follow these steps again, changing the dates to 9/1/2018 - 12/31/2018. Add an additional filter of "Tipalti, Inc" to the search. Print the resulting report and provide it to your accountant, or include with your tax documents. 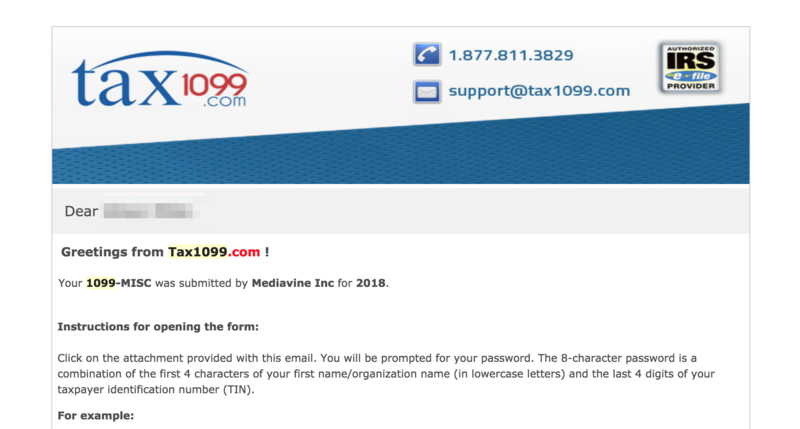 Even if it was just for 1 month of Tax Year 2018, if you received any payments from Mediavine in a method OTHER THAN PayPal, you will receive a form 1099-MISC. The 1099-MISC will be arrive the week of 01/28/19 via email from a service called Tax1099. This email contains specific instructions on how to open and print the 1099-MISC that contains all of your earnings details that are NOT contained in your PayPal reporting. If you have any issues with this email, or with accessing the form it provides, please reach out to payments@mediavine.com. This is not tax advice and you should consult with your accountant or tax preparer for specifics on how to file your earnings.